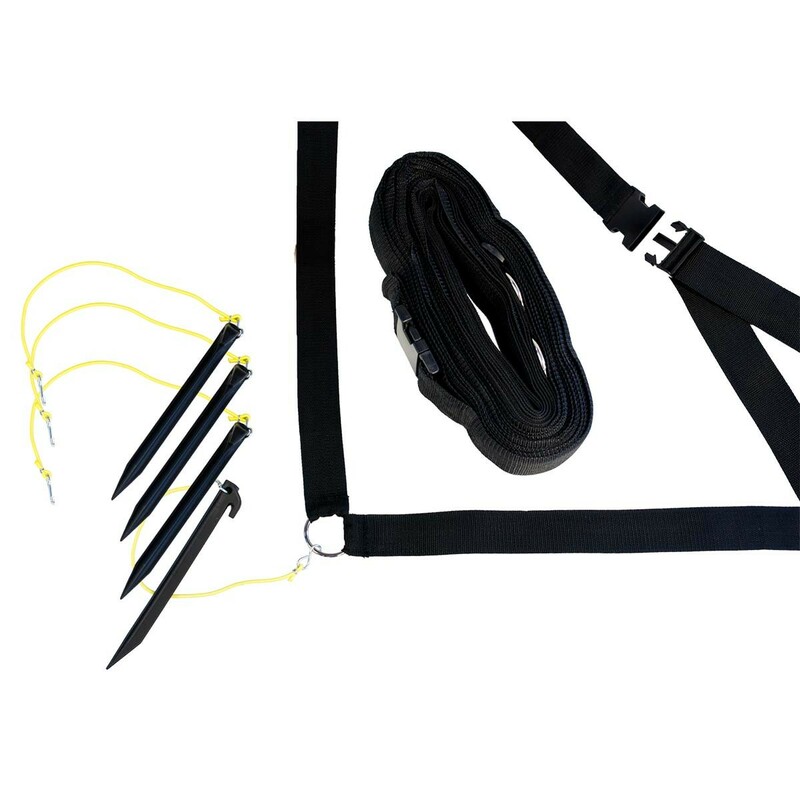 Set up your volleyball court at the beach or in your backyard with the adjustable Park & Sun outdoor volleyball boundary kit. This 2" thick boundary measures 30' x 60' and can be adjusted to multiple FIVB regulation court-size standards. 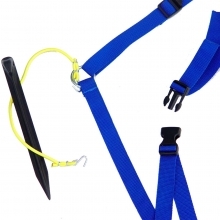 The kit includes 2" black webbing and 4 corner bungee/stake attachments.